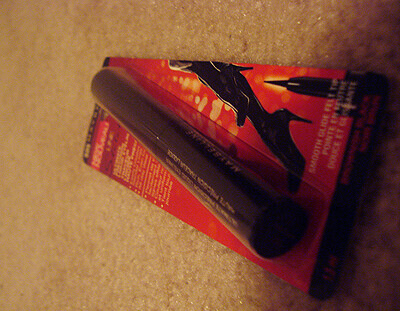 Today, I'm reviewing Maybelline's Line Stiletto Liquid Liner. Click to read more on price, where to buy and my overall review. I'd be lying if I said I bought the brownish black colour on purpose. I tend to just grab things and go but when I realized I had bought brownish black, I decided I would just try it out and see how it goes. The brownish colour gives a very natural look. It's not my favourite liner but it does have some good qualities. 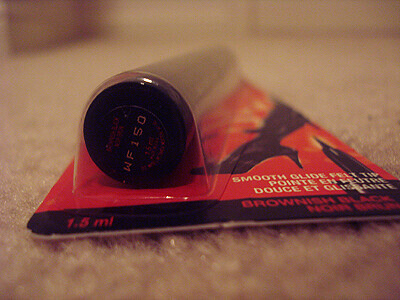 It glides on very smoothly and it gives a shiny/wet finish which I really like. The only thing I would say to watch out for is the pen tip. The tip is flimsy and the consistency is pretty thin which makes it hard to make a precise thin line. Overall verdict: It's an okay product. It's not awful but it's not great either. Have any of you tried this before? What do you think?